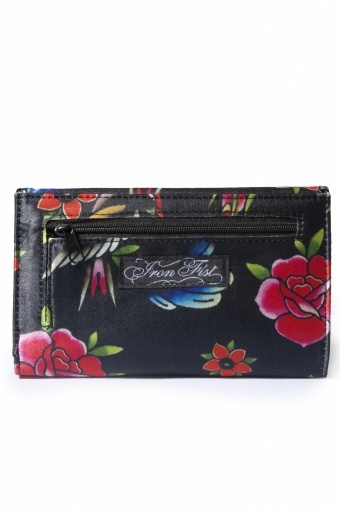 New Fall / Wintercollection from Iron Fist! 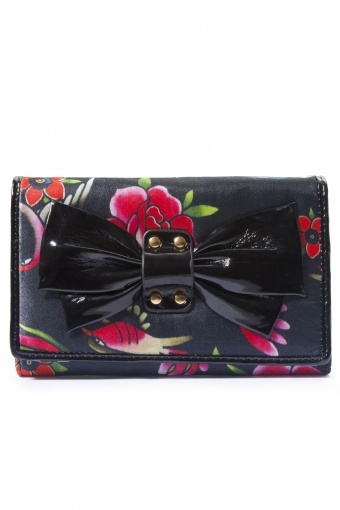 The Ladies Society Medium purse. 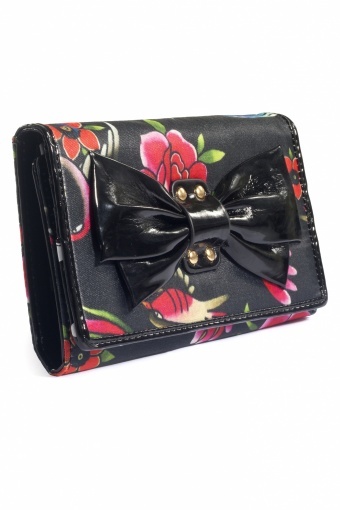 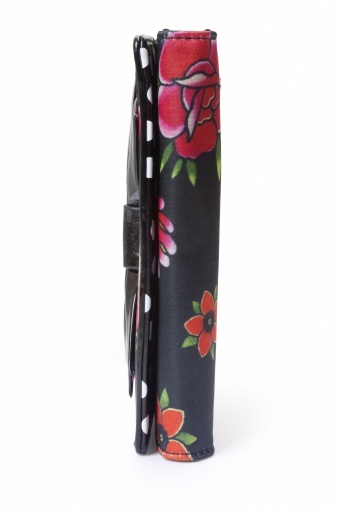 Beautiful medium size money purse with a rich coloured flower pattern in satinInside side with a cute faux patent bow. 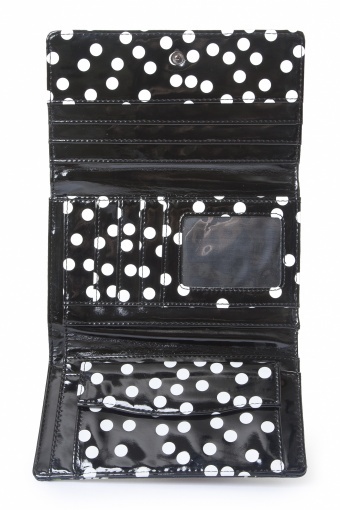 Inside lining patent leather polka dots. 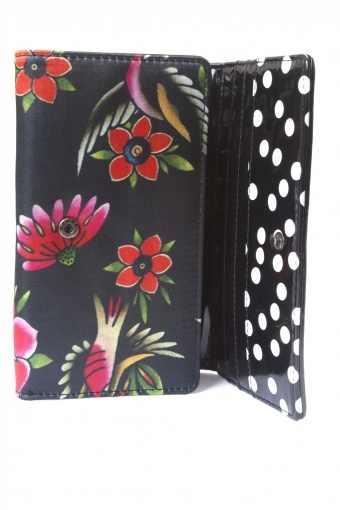 Pockets for your credit/bankcards, little pocket for coins, on the back a zip pocket, push button closure.